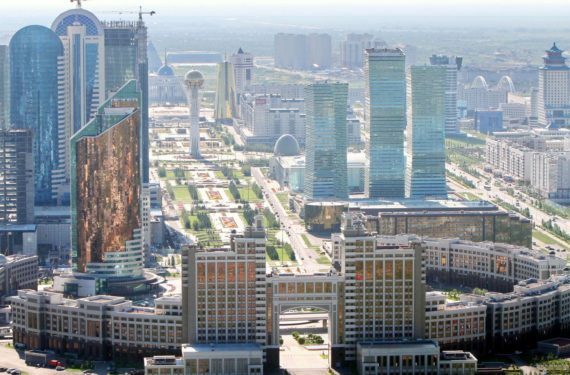 ASTANA – The World Trade Centres Association (WTCA) will begin construction in late 2019 of Kazakhstan’s second $200-million World Trade Centre (WTC), reports Tengrinews.kz. Astana. Photo credit: OCA Magazine. A WTC is a building or complex of buildings established and operated by the World Trade Centres Association (WTCA). It places all services associated with global commerce under a single roof to foster networking among governments and businesses. WTC complexes are located in cities, such as Amsterdam, Dubai, New York, Seoul and Tokyo and are often occupied by offices of major corporations. The latest WTC will be located on two hectares of the EXPO 2017 campus and the main building will be 150 metres tall. “There is an investor who will bear all implementation costs – we are partners and currently dealing with the provision of land and permits from state bodies,” said Astana Socio-Entrepreneurial Corporation (SEC) Chairperson Nurlan Zhakupov at a SEC meeting earlier this month. Kazakh President Nursultan Nazarbayev met with WTCA Deputy Chairperson Rolf Draak and Director Mehran Eftekhar during his October visit to Belgium to discuss attracting major international corporations and financial institutions to Kazakhstan, after which construction on Astana’s WTC was agreed on. The same month, Kazakhstan jumped from 36th place last year to 28th in the 2019 World Bank Doing Business Report, the 16th in a series of annual reports exploring the regulations that influence domestic firms’ activities in 190 countries. In the Ease of Doing Business score, the country ranked higher in enforcing contracts, starting businesses, trading across borders, enforcing contracts dealing with construction permits, getting credit and resolving insolvency. 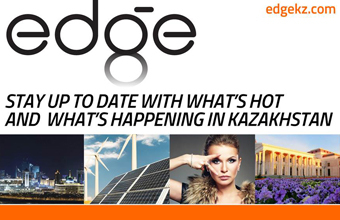 “The jump in eight places is an objective reflection of the persistent work of the Kazakh government, which has been implementing a special programme to improve the business climate in the country for some time now,” TALAP Centre for Applied Research director Rakhim Oshakbayev told The Astana Times in October. The WTCA is a non-profit organisation established in 1968 which has 317 members in 91 countries. It seeks to advance the WTC concept, promote international business relationships and foster world trade expansion among industrialising nations. Kazakhstan’s first WTC is located in Almaty.